We left Swansea at 15:55. It’s now 20:07 and we’re still at the blue dot. 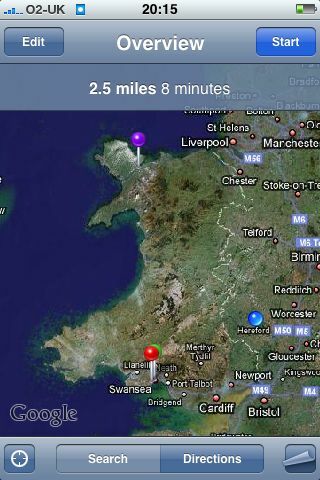 This as you will notice, given that we are aiming to travel to Bangor, is not especially close. Our ETA was 21:51, already close to 6 hours – it’s now more than likely 23:57….